What’s up, everybody? Fred Lam here and welcome to our daily huddle episode number seven. Now it is actually number seven of our daily huddle right now. Today we have some pretty interesting questions that have been fired off to me. 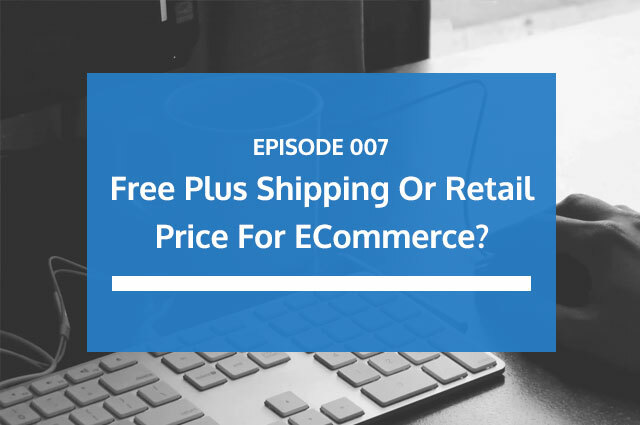 One of the most important questions that are going to be addressed today is free plus shipping versus selling a retail price product with free shipping or simply charging shipping with your e-commerce store. That is actually one of the most important questions that is coming out today and I’m going address it and share with you my feedback, my knowledge, my experience in that realm of things. Before we actually get into that question, I want to make sure that you guys can actually hear me loud and clear and that you guys most importantly can see me, type in a ME into the comment box if you are on Facebook and give me a ME also on YouTube if you are watching this live on YouTube right now. Melissa said, “Wow, fancy.” Yes, I’m trying to get fancy with whatever I am doing right now just to show you that I am gaming up and leveling up and actually basically doing things a lot better and trying to be here every day with you guys as well to answer five questions, any questions that you may have. Now, for those of you that is your first time joining, we have our daily huddle where every day I answer five questions and I answer them in detail. I want to get as clear or as detailed as possible and I’m not going to keep it short and concise only because I want to share with you guys why I gave you the answer to the questions that have been actually brought up to me. If you want your questions to be answered right on Facebook on the top of this video there is a link click on it and if you are on Youtube right below the video description you will find a link where you can actually submit your question and I will simply get them featured in our daily huddle. So without further ado let’s dive right in into our first question for today. [0:2:56] Question 1: I am a student in your Zero Up program. Just getting started. I met you a couple of years ago at a cocktail party in Vegas at one of Anik Segal's events. I remember you asking me about what am I passionate about. I responded that I am an interior designer and you responded, well there's your answer. I am also passionate about personal development. I am working on putting together personal development and offering an e-commerce store that offers products to people to help find unique and interesting products. Each home tells the story of the people that live there. My question is: Do my products have to come from AliExpress or can I build a Shopify store with products I find on Amazon? I know their affiliate commission is low but I can at least find the quality products I want to show and provide to my customers. I am just not seeing anything on AliExpress for the type of products I want to offer. Any suggestions, Fred? Fei, great to have you. I’m actually very stoked to have you following me for several years now so I am very great to actually have you as my follower and listen to all the advice that I have been giving you. First things first, you have to identify if you’re really going after personal development space or if you’re going after the interior design niche that you really want to go after. Based on what I can see right now it seems that you’re very passionate about interior design. You’re maybe an interior designer which seems that you are and at the end of the day if you are trying to actually go into the e-commerce route to sell physical products why don’t you drop the personal development side and really focus on interior design. What your store can actually do is simply sell products in the interior design element of things; for example, you can be selling home decors, you can sell wall decoration, you can sell canvas art, you can sell all things related to simply interior design. And if you try to actually combine interior design and personal development together, it’s pretty hard to do that. You may know more than I do, you may find like there is a particular set up that is built for personal development. Let’s say in the Chinese world there’s the feng shui. They have the feng shui on putting certain things at certain spots and it can help with your career, mindset and help with relationship. So if you actually know those details about personal development or simply using interior design with feng shui that maybe something that you want to look into. It just makes sense if you really want to connect personal development and interior design at the same time together. Now, coming into this when you’re talking about interior design again, on Aliexpress there are definitely a lot of products. One of the most highest selling products, not even on Aliexpress but on ebay it’s actually those butterfly wall decors like I’m blown away on how much units those have been sold. There are so many people that absolutely love to buy this interior design of products that actually make your home a lot nicer. Now if you say, “Well, Fred I don’t want to focus on Aliexpress. I want to actually sell other products too.” If you really want to sell other products, I don’t suggest Amazon. The reason why is that if you’re trying to actually sell a product through Shopify on Amazon, you can’t do that because you need to direct people back into Amazon in order for them to actually buy the product. With Shopify you actually own an e-commerce store and you need to take the transactions and ship out the product with a vendor or supplier. So if you’re like you know what I can’t find the product that I actually want which is very rare on Aliexpress, another place that you can look at is doba.com. I should send an affiliate link but I don’t know where I can find it but at the end of the day you can use doba.com. 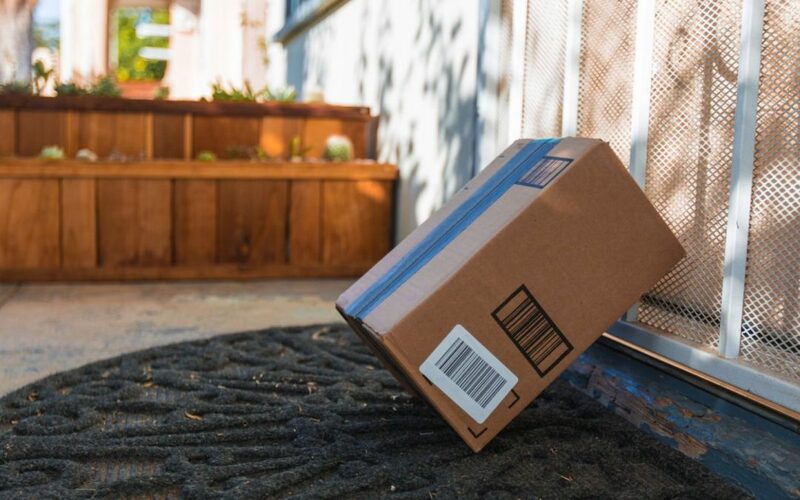 They are sourced in the United States and they have a lot of re-sellers within the United States that you can also over charge the inventory and drop ship at the same time. But I would say focus on interior design because that’s what you’re passionate about and there are definitely a lot of home decor products on Aliexpress but again like I said if you don’t want to really use Aliexpress you can actually look at doba.com and go from there. So I will stick with that. If I were to give you a game plan that you really care about personal development and that you know about feng shui, well guess what you can sell products that basically talks about the feng shui and educate your customers where you should put in that product in their home that you sell. That’s what you want to look for and I really hope that helped you out. [0:08:25] Question 2: How can you increase your followers on Facebook when you don't have a lot of friends to invite to like or follow your page? Good question. But first of all, you have to basically answer this question yourself first. For those of you who are simply looking for more followers to your Facebook page, why do you want more followers? Let me actually share that from my perspective. For me I would love more followers so that whenever I get on to these daily huddles, whenever I get on to these video trainings, I get more people on. I have more genuine followers just like you. 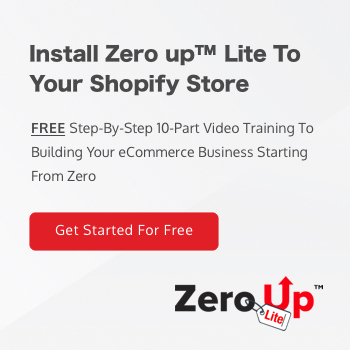 They actually watch my video; we stay connected and I share with you the latest strategy, latest training to actually help you build, grow or scale you online business. So for me, I want to get as much following as possible so that when I do these videos I hope that I get like 300 or 400 or 500 people online at the same time and that is really my goal. And that’s where I have to work on getting people to actually follow me and like me on Facebook and also on YouTube at the same time. These are the two social media channels that I release all my information. Now with that being said here are a couple of things; are you getting likes or followers on your Facebook page just to “look nice”? Or is your ultimate goal going to be getting either a lead or getting a sale? If you’re trying to get a lead or a sale or trying to get a sale ultimately you don’t really have to worry about how many followers you have; you don’t have to worry about how many subscribers you have because those are non-existent. If you say that “Fred, I just want to actually get that number up. It’s just a pet peeve of mine; it’s just something that I want, a growing number of people following me on Facebook.” There are two things that you can do; there’s the hard way and the easy way. Now, let me share with you the hard way first. The hard way what you have to do is every day; you have to post a viral video. You have to post something hoping that it will actually go viral so that big pages or big websites share your video so that you gain some following form there and always ask people to like your page or to follow you right on Facebook. Now that’s going to be a lot of work. Are you going to guarantee they actually get results? Not really. Here’s the thing though, at the end of the day I saw a kid who is called the backpack kid or something or the backpack millionaire or something and it was a 13-year old kid on top of my head I maybe be wrong about his age and he actually shot a video of him dancing very, very funny like really funny. And in a matter of like couple of months he got over a million followers right on Instagram because all these large Instagram pages just started to actually re-share his video and actually help him from there. You have to be—I would have to say lucky and you have to hit the right time, right position and it has to be a really viral piece in order for you to actually get that, so it’s a very rare chance that it happens but there is a chance. Now with that if you actually get followers through the hard route, they’re going to be more loyal, they’re going to be more responsive and they will actually listen to you a lot more and be a lot more engaged. When it comes to the easy and fast way on getting followers is not to actually buy from those sites that say that they’re going to get you a thousand followers for like $10 or whatever or not even from Fiverr. Those are what I can classify as a scam. Those are not going to be real followers who are going to be following your page. Those are going to be like random bots or they’re just going to be basically people who are from like third world countries that you don’t even want to actually get them to follow you. With that your last resource is to create what we call a like campaign on Facebook. On Facebook, it is the only social media channel that you can actually advertise with an objective of getting more people to follow or like your page. Again, the down side of this is that you’re not going to get as responsive of followings as the hard way. It really depends on what your goal is going to be. I’m not sure why you want more followers but I would assume that it’s because you think that it will look nicer that we’re following then just start like a $5 budget a day campaign. You can probably get likes for like five cents or ten cents max if you have some right, nice creative and that will give you like I don’t know $5 a day at 10 cents that may give you like 50 followers a day and it slowly adds up from there. But again, you have to give value and you have to give content that’s where people will start following you a lot more and to basically be more engaged with you because you are going to have a page that has like millions of followers but if they’re not engaging then what’s the point? You may rather go with the smaller following and have them more engaged than anyone else when you actually come on to do a video or when you’re sharing a viral piece from there. I hope that really answer your question and helped you out. [0:14:20] Question 3: What would be the best way to market Kindle Books? Great question. Kindle is actually owned by well majority of it is by Amazon. That’s where a lot of people actually published their books and published their Kindle version of their book on Amazon. If you actually want more traffic going to your Kindle book I would say, advertise natively inside Amazon platform because if you advertise within Amazon platform and people that are looking for a book and you have a book that is similar to what people are searching for, then chances are you’re going to get a much more highly targeted visitor and people that would actually potentially buy your book off of Amazon. So, in Amazon there’s something called Amazon advertising and it gives you the ability to basically advertise your Kindle book into their Kindle store and you can advertise based on keywords and that’s what I would actually suggest you to do. I myself I don’t do a lot of Kindle publishing so I cannot give you a lot of like examples or give you the right steps on what you need to take but at the end of the day I am all in for advertising I did look in the Amazon advertising and I did play around with it and it does proven to convert very, very well especially if you have a product or if you have a Kindle book that is inside Amazon then you’re basically living inside that ecosystem. Now in other strategy that you can do is the following; you can create an opt-in page now this again I would say go and figure out and look into Amazon advertising first, the second way is going to be the harder routes what you can do is simply create and opt-in page where you’re giving a copy of your Kindle book away for free. It’s basically a lead generation page and opting in asking for their email address. Now on the Thank You Page what you then say that before you go download your free E-book or the free book that I have for you, you can actually download a Kindle version of my book using my link right below and then it actually pushes right to Amazon. I actually use this strategy before and I was able to actually jump myself from like no one on Amazon Kindle to the number seller on Amazon for under advertising and marketing. So this is a strategy that you can actually replicate and to mimic at the same time but again I don’t publish a lot of things on Kindle, I don’t publish a lot of things on Amazon so it is just based on what I know and what I have been seeing and the things that I personally have been doing at the same time or I’ve done before which is the opt-in page going to the thank you page. And on the thank you page I tell people to actually download my Kindle book for like 99 cents. I want to be honest with you at the end of the day Kindle lovers would just buy it. They’re just into buying a lot of kindle books. [0:18:24] Question 4: My shop has the domain name "new fashion accessory shops". I want to sell accessories for the niches: home and garden, personal accessories for women, men, children, boats, camping, cars and trucks, fitness & health, and so on. My question: How can I set up a home page where the prospect can see all my niches as above mentioned and she or he can enter any of my niches to see the accessories I am offering in that specific niche? Wolfgang Kaminsky, I do not recommend what you’re doing but let me answer your question first and I’ll go into why I don’t recommend what you’re doing. Number one, if you really want to basically sell in these like super unrelated niches to everything and each other then what you want to do is you want to set up a collection inside Shopify for every single niche that you want to go in and basically assign the accessories that is related to the niche inside to these collections. So you’re going probably have like I don’t know over a dozen collections based on what I see and under these dozen collections there are going to be different products that are related to those accessories in your collection. I genuinely have to say I do not recommend this. And the reason why I do not recommend this is that number one, you’re going to confuse the heck out of your customers what you are really selling. I kind of understand I want to sell like personal accessories for women, men and children, home and gardening that may make sense but then now you’re adding like camping, boating, cars and trucks, fitness and health. These are completely irrelevant things like are you trying to sell the most trendy accessories or are you just trying to sell like all kinds of accessories in general? Because to me when I’m looking at this and when I first read this out, the first feeling that I got is that, are you a dollar store? Is that what you’re trying to do? Because it sounds like to me it is and you’re not going to actually be able to craft who your customer avatars are going to be and you will not be able to know or identify who your customers are and how are you going to ask them to come back to buy your products because you just have way too many different products in way too many niches that you are going to confuse the heck out of your customers, what your store is really about. Again, we call this a general store but you’re like going a step way beyond general store right now. To me it sounds like you’re going after like a dollar store or something. I’m not trying to be mean or being rude but that’s just the feeling that I got right out the gate. I would actually narrow this down. 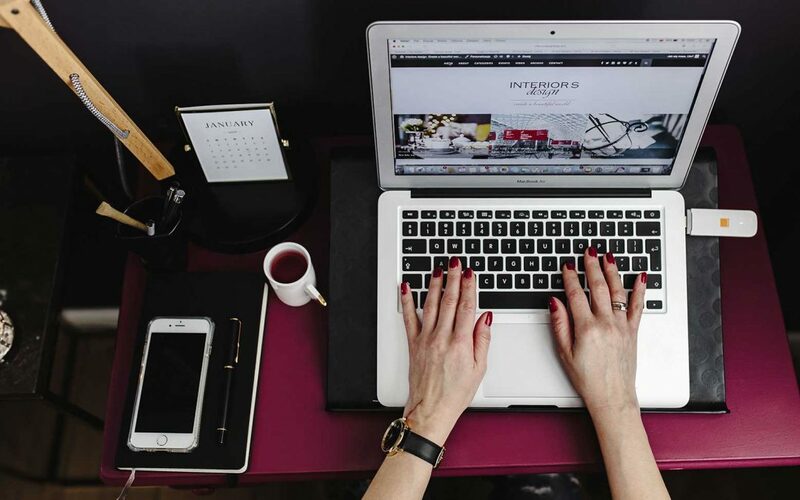 Here’s the problem when it comes to e-commerce products and people that are starting e-commerce store, you guys are too focused on like why don’t you try this, that, that, that, that, that. Your goal is to stay focused just like yesterday I actually answered in our sixth episode one of our person’s question who is Josie about a wedding e-commerce store. From there you’ll understand the process like you can create different collections and all those other stuff. And sell what you’re passionate about because again if you’re not passionate about your niche chances are it’s going to be very hard for you to convince your followers or convince the people on the other side of the screen to actually buy a product from you because they just can’t see that you’re just trying to basically sell everything in general and it’s not going to cut it. So again, my suggestion to you Wolfgang is number one, if you are like you know what I really want to do this, this is the way that I’m going after, go for it and what you then wanted to do is just create a collection for each of these niches that you’re going after and assign a product under them. Now, if I were to give you a recommendation right now I would just say pick one of the category focus on it first and then when you are ready that’s when you can actually go with maybe you look at a general store and then basically understand your customers more before you go after like the mass public. That’s my feedback to you and again it’s up to you on what you decide you want to do. [0:23:13] Question 5: What do you recommend: free + shipping or worldwide free shipping + cost? I find that free shipping worldwide is a lot harder to advertise on FB and I don't think selling mid-ranged price($30-80) items for free + large sum of shipping is going to be appetizing for my customer either. Let me tell you one thing, using the free plus shipping and using the retail plus free shipping both have its own strategy and own purpose of why they exist. So let me talk about free plus shipping first. I’m not saying I’m going to recommend either or what I do have to say is that I use both of them and I use it only because I use it for certain strategies and the certain purpose for my business. Let’s say free plus shipping right now, as we all know free plus shipping is that you are basically offering the product for free and then you’re just charging the customer a shipping cost. Now with that business model there are some things that you need to be aware of. Number one, the main thing of having free plus shipping is to basically have more people buying products from you because if the person actually goes to your store, gives you their credit card information that means that you already established a trust between you and the person on the other side of the screen which is now your customer so chances are for you to keep selling them to make more profits back is going to be very easy. Now, the free plus shipping model number one, you will be either breaking even or making very little profit. You’re not going to be making like a lot of profit with free plus shipping and I hate to bring this upfront and I’m just being truthful and honest with you. 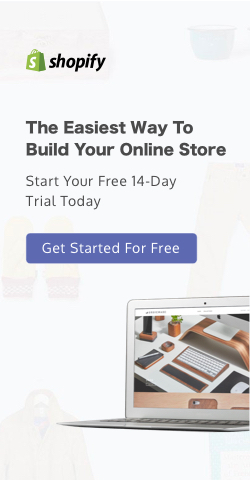 Free plus shipping is a strategy for you to actually turn prospects into customers and from there you either build them and have them go through a sales funnel to actually sales them more products where then you make all your profits and also you use email marketing to email them and basically say “Hey! We got this product in our store come check it out or we have this new edition of our product come check it out” at the same time. So, it’s a low hanging fruit for your prospect to become a customer and slowly work their way up and actually keeps asking them to buy more products from you and that’s where your profit actually comes up play. Now, the free plus shipping you don’t have to actually spend as much time or as much effort in the accretion side of things. However, now its transition to the worldwide free shipping and you’re charging a retail price for the product. Here are the couple of things that you need to know when you are going to be charging a product for let’s say $30 to $80 in your example you want to basically convince the person on the other side of the screen on why they need to pay $30 to $80 for that product. So, in order for you to actually sell a much higher price product what you want to do is that you want to game up and level up your ads and what I mean by doing that is that you have to create a demonstration of your product on why people need to buy your product. You can’t just show them a product and say go buy this for $30, you need to educate them and show them why you need to get this product and most importantly why they’re paying the price that they’re paying. Inside Facebook you may have seen a lot of it of ads on people selling physical products for retail price plus free shipping majority of them actually using video ads and they demonstrate the product in order for the person on the other side of the screen to justify the cost that they are paying. When it comes to the conversion rate, the conversion rate is obviously a lot lower. You’re comparing a free product plus a product that you have to pay for a retail price. So, for a customer when they go to your landing page they see a free product, chances are they’re going to go through your funnel a lot quicker that’s why you’re going after lowest hanging fruit with free plus shipping. But when you’re selling a retail product you have to work a little bit harder in order for the customer on the other side of the screen to take out their credit card and actually buy the product. So you want to use things like video ads, you want to basically use different things to actually get them to buy and also most importantly the product has to have a perceived value based on the price that you are selling it at. And when it comes to a retail product, you are saying that Fred I really want to sell retail product and I want to advertise it; here’s the truth in terms of margin, you need to at least right out the gate this is where I test all the time, I basically mark it up by 4x so if I have a product for $1, I sell it for $4 so it’s 4x. It gives me the ability to actually afford more dollars in advertising to actually acquire that customer. Obviously 4x is just a number that I start out with; it is not a magical number that is guaranteed to work on every single product. What you want to do is let the customer tells you what is happening. So here’s the indicator when you start running a product with a retail price plus free shipping and you’re getting good cost per click link and you’re getting a high click-through rate link, when that happens then guess what chances are you will see that well guess what people are interested about my product. Now they go to your product page, on the product page they didn’t move forward they just dropped off. They didn’t even add the product to cart. If that happens then it really tells you that you’re marking the product up too high, so you want to slowly decrease the price of your product to actually find the sweet spot on the selling price. Now through all the years that I’ve been running e-commerce, I discovered that when you hit a 50% margin, so if you get your product cost for $1 and sell it for $2 the 50% margin will be the max that you can actually price the product at or else you will start to maybe lose money on your sale because you are spending money on your ads so I try to keep it low and the perfect number is 4x or 3x. Those are basically the perfect numbers in sweet spot to be in when you’re selling a retail product that gives you enough money for you to actually advertise at the same time. But again, it’s all about the ad creative itself and the perceived value of the product when you’re selling a retail product. You can’t just randomly make up a product and says that it’s worth X,Y, Z dollars when people go like really I don’t see that perceived value and that’s where it’s going to actually hurt your sales through the long run of things. So that’s what it is. Anyway, with that being said again, I’m not going to say I recommend either or, I say I do use both of them and it really depends on how you see your market and what you’re really selling. Again, each strategy has its own purpose and you have to figure out, are you trying to get more customers coming in to your door and get their email address and bring them through a funnel? If that’s the case then you use free plus shipping. If you’re trying to actually sell a retail price, making a higher EOV right out the gate and then add up sells later well guess what then you can use the retail plus free shipping at the same time. And also a note on selling retail products. What I do and if you guys have Zero up light and for those of you who are actually a zero up member you will notice that in my shipping table I actually charge people $2.95 or $4.95 shipping on a single product if I’m selling a retail price. The reason why I’m doing that is the following, a lot of people are basically use to paying like $2.95 or $4.95 for a particular product especially if your product has a high perceived value and you have a really nice video ad created for your products. Now what I would do is I won’t talk about free shipping right out the gate, I would actually test it out to see if it works better or not. So what I generally do is that I actually saw a product for X, Y, Z let’s say for $20 and I will charge $4.95 shipping, guess what if I do that the my average order is not $20 now, my average order is like $24.95. I made nearly $5 margin by simply charging shipping but at the end of the day when people actually go to the check out they say, “Well, I don’t want to pay that $4.95 shipping.” Guess what you can do simply set up an abandon cart and offer them free shipping and just say that hey I noticed that you were trying to check out your product but you didn’t move forward why don’t I pay the shipping on your behalf, use my coupon code right now. So then you are capturing both sides of people, people who are willing to pay $4.95 and also people who are not willing to pay $4.95 and there’s not really any loss for you because you already marked it up on the initial product that you are selling in at a retail price. So most importantly you have to test it because each niche works really, really differently. People’s buying behavior and mindsets are different but those are tips that I can give you. You’re not restricted in just free shipping, you can actually charge like a low shipping fee make that $5 more that’s like 50% more margin right out the gate if people decide that they can justify the $4.95 shipping but guess what they didn’t actually buy it because of the shipping you have auto-responder, you have your abandon cart email goes out giving them free shipping and you can actually capture those customers back. Anyway, these are the tips that I can have for you and again, I recommend both strategies. It is proven to work and I share with you why each strategy exists, what are the purpose and from there you simply just want to test it out and see which one is actually producing you the best results. Other than that, that’s all I really have for today’s daily huddle. So put in a ME inside Facebook right now if you’re on Facebook and put in ME on YouTube right now if you guys are going to be here tomorrow for our daily huddle. Again, I’m going to do this Monday to Friday, I even did it on a holiday yesterday in Canada. I actually rushed back to the office just to be here live with you guys to answer five questions. If you have any questions go to www.fredlam.com/ask and let me know and I’m going to pick five questions everyday and I’ll answer in great detail so that you, yourself can learn from it. That’s what we are all here, I’m here basically just to make sure that I answer these questions that help every single one of you and some of the questions that comes in are maybe the same questions that you may have and you can learn from me exactly where my mindset comes in, why I would do this. Let me tell you this, I’m not always right but I’m just sharing things with you based on my experience, based on what I have tested and what I have known and I’m just relaying those back to you guys and to show you guys what I would do if I were in your shoes. I’m getting a lot of ME’s coming in and for those of you on Facebook give me more of the love symbol. I like the love symbol way more than the like symbol for some reason. They just look visually more appealing, the color-wise it’s lovelier. It’s all in pink and blue. Superglider from YouTube saying you are the man Fred. Thank you! My goal is to try to get like 500 people on live on Facebook and YouTube so that’s just my goal that I’m working towards and with your guys help I can do this so please if you guys love our daily huddles, if you guys are learning a lot from it make sure you follow me on Facebook, subscribe on my YouTube channel and be around a computer or a phone especially on YouTube if you actually subscribe on YouTube you will get a notification right away to tell you that I’m actually coming on live. I’m trying to set a specific time to be on here live but again you know my schedules are pretty crazy and hectic from time to time so I can’t guarantee on X, Y, Z time that I’m going to be on. I’m doing my best to actually be on live at 6PM Pacific, 9PM Eastern because that’s the part that everyone is starting to get off work and everyone learning things. That’s all we have for today’s daily huddle so again, if you want to learn more, if you have any questions let’s dive right in tomorrow because our episode is coming up. Here’s the thing on our tenth episode which is going to be on Friday, I’m going to announce something pretty crazy for those of you who are going to be here live; I’m not going to tell you what it is yet but you will find out and this is only for the people who are joining me live this coming Friday. If you want to get notification on it, subscribe to my YouTube channel, follow me on Facebook and I’ll do something crazy to celebrate our tenth episode because that’s like our first two-digit point that we’re going to be actually doing our daily huddle. I look forward on seeing you guys tomorrow. If you have any questions go to www.fredlam.com/ask and I look forward on seeing you guys first thing tomorrow. Bye for now.